One of the (many) problems of cannabis prohibition is that not only do people not realise how much work, time and tender loving care goes into producing the buds they consume, and they also don’t realise the vast choice of strains that are available and ways there are in which to grow them. After many years of working behind the counter in a number of Amsterdam seed banks, it became clear that often the best advice about which cannabis seeds to grow could only be given when the usual shopping situation was reversed – the shop staff need to ask the customer questions in order to figure out the best strains to recommend. The option of online shopping has opened up the world of cannabis seeds to millions of people who might otherwise be unable to easily purchase them. There are many good online seedbanks. However, the opportunity to speak with a staff member who can help inexperienced enthusiasts work through the considerations that influence their choice has yet to be replaced by even the most advanced website. 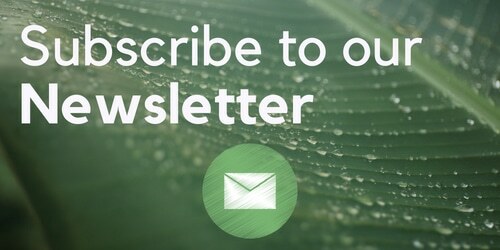 With this in mind, here are a couple of questions aimed at those people making their first exciting foray into the world of home cannabis cultivation. By answering them, you should not only gain a clearer idea of what you want, but also a more thorough understanding of why the choice of variety is the most important decision the grower makes. Q. 1 What do you want to end up with? If you haven’t had access to the information about what sort of cannabis you’ve been using, it may be hard to name exactly what you like. Broadly speaking, the effects can be divided into either a physically relaxed, even pleasantly soporific feeling (‘stoned’); a cerebral, energized effect (‘high’); or a combination of both. Thirty years ago, the options could be easily categorised as Sativas will get you high and Indicas will make you stoned, and the specific growing conditions of each tended to limit the choice of most gardeners. Although this remains fundamentally correct, the truth is that advances in breeding have created such a plethora of hybrids that today’s green-fingered gardeners are spoilt for choice. It is now possible to find a cannabis variety that will produce the desired effect and can be grown by anyone with the right space to do so. What do you like, and how much do you want? Another factor to consider when thinking what strain to pick is the amount you want to end up with. Some growers cultivate purely for personal use, and therefore are happy to choose a type that is low-yielding if it fulfills all their specific requirements. Others, such as people in areas where legislation allows caregivers to grow medicinal cannabis on behalf of patients, are seeking out the highest yield possible but may not be as interested in a rare or exotic genetic blend purely for their own sake. If you are interested in cannabis for medicinal purposes, there are a number of websites with information to help you discover how it can alleviate various different afflictions. Leafly.com provides a large number of cannabis strain reviews and ratings aimed at helping medicinal users identify which varieties may work best for their particular condition. Q.2 Where are you going to grow? If so, your climate will dictate what will be able to thrive. Some strains are never going to do well in cool areas with short wet summers, and sadly that’s just the way it is. Don’t spend a lot of money on a really nice Haze only to watch it freeze to death in winter with the buds only half-formed. There are some excellent strains specifically bred for harsh climates, including both traditional Indica ones, and more recent hybrids with a large Sativa content such as Early Pearl from SensiSeeds. Many kinds will produce good results in Mediterranean-type climates and if you’re blessed with a warm or tropical area with long hot summers, then you can choose practically anything – even strains that would need to be grown indoors (under lights) elsewhere on the planet. However, in warm areas with a high level of humidity, be wary of selecting varieties with very dense buds and short spaces, known as internodes, between the branches, as the risk of bud rot increases. When choosing an outdoor grow space, be aware that cannabis planted in open ground (rather than pots) can grow to be extremely large – in some cases, the size of small trees. This can be either an advantage or disadvantage, depending on whether yield or subtlety is your main priority. There are ways of keeping cannabis plants shorter and bushier, the most common of which is “topping”, where the sprouting stem that would become the main ‘trunk’ of the plant is pinched off in its earliest stage of development. This causes the plant to direct all its energy to the side branches. It’s a practice used for many plants, such as tomatoes, and occurs in nature when animals like sheep, goats and deer nibble the tops of young trees and bushes. Be warned that these beasts are also natural predators of outdoor cannabis plants! It is also important to check the amount of light pollution occurring at night in your prospective outdoor growing area. As most types of cannabis rely on set amounts of light and darkness to govern when the flowering period begins, unnatural light from street lamps, buildings and even large illuminated advertising spaces can adversely affect this process. A good rule of thumb is to take a book there during the night – if you can find enough light to read by anywhere in the chosen area, it’s not an ideal space for problem-free flowering. This reliance on the changing seasons to successfully complete the growth and flowering stages means cannabis seeds cannot be planted the minute you’ve obtained them and determined a good outdoor cultivation area, if it’s the wrong time of year. In a society that places too much emphasis on instant gratification, the response “What do you mean, I have to wait until Spring to plant them / Autumn to harvest them / until they’re cured to smoke them?” is not unknown in seed banks. Possibly this is another effect of prohibition – whereas most drugs (both legal and illegal) are manufactured, cannabis has to actually be grown. Thanks to it being in the same class as chemicals according to the Government, even people who are intending to cultivate it themselves can inadvertently overlook the fact that cannabis is a plant with a life cycle of its own. Indoor growing overcomes the need to co-operate with nature, offering the chance to play seasonal deity and decide for yourself when your cultivation cycle will begin, how long the vegetative section of it will last, and to a certain extent how large the finished plants will be. Problems such as light pollution and roaming herbivores are completely avoided. However, with great power comes great responsibility, which in this case means recreating the ideal outdoor growing environment indoors. Again, the lack of general knowledge about cannabis caused by its illegal status in most of the world leads to many people mistakenly believing that ‘indoor growing’ means ‘on a windowsill, next to the geraniums’. Although cannabis plants will attempt to grow in this way, disrupted light cycles means they are unlikely to flower; variations in temperature and / or humidity coupled with a lack of adequate air flow do not create good conditions for growing. 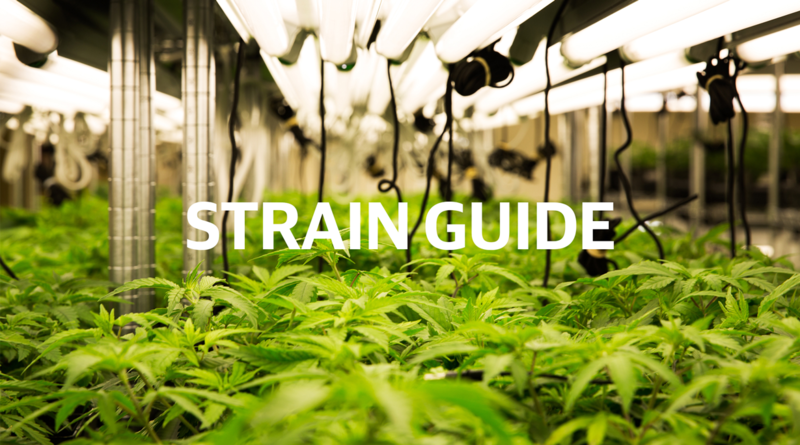 The indoor grower is faced with far more work than their outdoor counterpart as light, water, wind, temperature, humidity and nutrients must all be accounted for. The good news is, if all these factors can be controlled, the only major remaining practical consideration is the size of the grow space. Plants grown in pots will naturally remain smaller than when grown in open ground, and most varieties will remain compact if the vegetation period is kept short, but there are some types which have been specifically bred to remain short-statured while still producing a hefty, worthwhile yield. Some good ‘premium’ examples are Shiva Skunk and Black Domina (both from Sensi Seeds), and the very reasonably priced Top 44 and WSS Skunk from weedseedshop, all of which are also robust enough to be ideal for novice gardeners. A good guideline to remember is that Indica and mostly Indica varieties tend to double in size during the flowering weeks, whereas Sativa and Sativa dominant strains can quadruple in size. One gardener who left his set-up for 10 days whilst on holiday returned to discover that his Silver Haze crop had so increased in height during his absence that he had to balance on a ladder to painstakingly untangle the flowering branches from the overhead lighting rig. Equipment options for indoor growing have increased almost as rapidly as cannabis seed varieties, and there is almost no limit to how sophisticated a grow room can become. However, the ultimate goal is always to recreate nature in its most beneficial form for producing healthy, thriving, heavy-budding plants. Although it can be tempting for novices to simply purchase a lot of equipment – often in the belief that the more they have, the fewer problems they will encounter – a personal belief is that people who have never grown cannabis before should cultivate at least one outdoor crop in order to get to know the plant before embarking on indoor growing. The benefits of starting off with an affordable, basic strain and a good book on your chosen method of growing, rather than buying the most expensive strain and having no reference for what to do with it, have been emphasized by many ethical seed bank staff. One of the most recent major developments in the global field of cannabis is the new group of auto-flowering, feminized strains known as ‘automatics’. Capable of growing virtually anywhere, including on a sunny windowsill (next to the geraniums), automatic strains will happily ignore disrupted light cycles and trigger into flowering when they reach a certain age. If you are ever in the position of purchasing seeds before you have been able to consider how you will grow them – despite having read this helpful article! 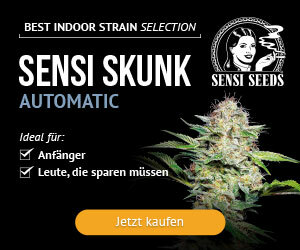 – automatic strains are a simple solution and heartily recommended for beginners. We hope you’ve enjoyed this beginner’s guide to picking the best cannabis strain for your needs. Check back soon for more from ISMOKE! Previous articleWhy Do People Get The Munchies?